When Do You Make the Transition to a Big Kid's Bed? And Do You Go Bunk or Not? When Do You Make the Transition to a Big Kid’s Bed and Do You Go Bunk or Not? Being a first time mom, I'm finding out that I'm clueless about a lot of things and really rely on the mommy friends I've made through blogging to help me out from time to time. Which leads me to my question... How do you know when it's time to move a child into a full size bed? My daughter's room is sort of small, so I always knew that eventually we'd have to go shopping for twin beds, but there are so many options there. We only have one child, but I always thought that bunk beds were particularly cool, since children frequently have sleepovers. Also, there are so many unique styles which house a study center or reading area underneath them, which is a really good use of space. Of course, there's always the trundle bed option, but then that rules out being able to store any of her clothes or toys under her bed. 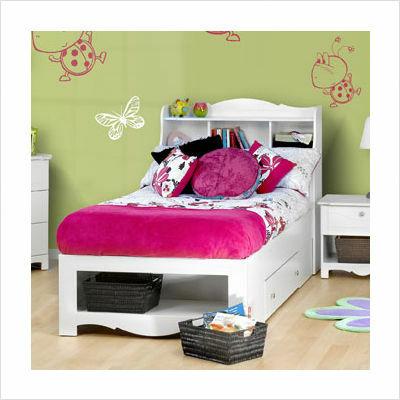 What type of bed did you find worked out best for your child...and at what age did you make the transition? 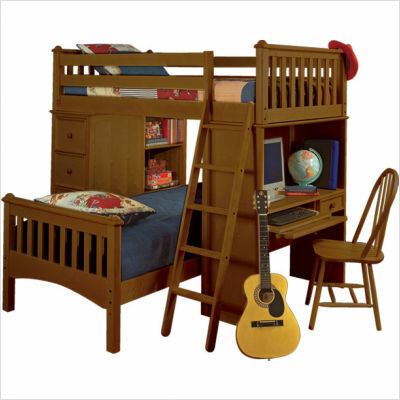 If you only have one child, did you buy a bunk bed for him/her anyway? I'm really interested to hear your experiences and pearls of wisdom on this topic, so please leave a comment if you have any pointers for me! Thanks a bunch moms! 2 Responses to When Do You Make the Transition to a Big Kid’s Bed and Do You Go Bunk or Not? is she in a crib or a toddler bed? if she’s still in a crib, keep her in there until she climbs out by herself or you need the crib for another kid :) or at about 3.5ish. in terms of a full-sized bed, we made the mistake of getting my son one that was too high (we were swayed by all the cool storage underneath)…but he’s now 5.5 and still needs bed rails on the sides to keep him from falling out of bed! Thanks so much for the great advice! My daughter is in a toddler bed now and we’re definitely considering the bunk bed option since the next bed we buy will be the one she has ’til she turns 18! LOL!